A group of scientists has postulated a theory on why glaciers in the Karakoram Range of Central-South Asia have not been as affected by climate change as others. While glaciers have generally been losing mass and extent across the world and in the Hindu Kush-Himalayan (HKH) region, one subset of glaciers in the Karakoram has been sticking out like a sore thumb by defying this trend. Some glaciers in and around the range, northwest of the Tibetan Plateau, have actually been showing zero or positive mass balance changes. This “Karakoram Anomaly” has been giving glaciologists sleepless nights and climate deniers a rare straw to clutch at. But in their paper published in the journal Geophysical Research Letters, the group of scientists claims that human interference through large-scale land use and water use changes in the surrounding lower reaches of the range might have something to do with the anomaly. Using hydrological modeling, the scientists first aligned the changes in irrigation (plotted to include period from 1970-2010) and Greenhouse Gas concentrations in the atmosphere with climatological variability (derived from simulations from October 2009 to October 2016). Further, the team also tracked the moisture content in the snowfall falling in the Kunlun Shan Range, where glacier growth is the highest. The researchers found that increasing levels of irrigation in the foothills and lowlands of China, Pakistan and northern India has pushed up the moisture in the atmosphere in the region. The entire stretch has seen massive intensification of agriculture owing to the Green Revolution in the second half of the 20th century. This additional moisture then comes down as snow, especially during summer months, in regions where glaciers have been found to be expanding. The cooling effect of the clouds blocking out the sun makes conditions for glacier growth even more conducive and further slows down melting in the region. 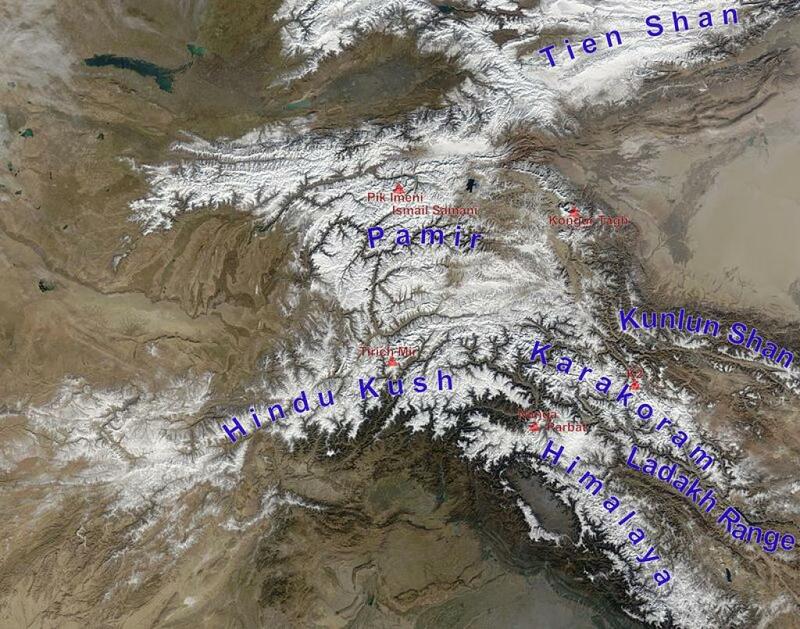 Basically, the scientists in their paper have described a redistribution of groundwater from the plains to a few glaciers in the Karakoram, Kunlun Shan and Pamir Ranges as snow. A roll back in the irrigation, the scientists claim, will also start to show in glaciers in these regions as they too shall start receding like others across the High Mountain Asia region (HMA), which comprises the entire stretch of the Hindu Kush-Himalayas. The scientists note that while southern facing ranges in Lahaul-Spiti and Western Nepal depend on larger circulations for their snowfall, the driving factors around the Karakoram are more local. This is yet another piece of information that shall undoubtedly contribute to the unraveling of the anomaly. Scientists admit that more work would be required to understand the sources and processes more minutely so that it can help in water-use policy. The fact that ice in the Karakoram region was sustained by a unique and localised cold and dry summer season was first revealed in 2014. Another explanation for the anomaly came just last year when researchers from Newcastle University in the United Kingdom pointed at a localised vortex in the region which was effectively insulating the region from general warming.